A meeting of the Midwest! Winemaker Anne Hubatch is from Wisconsin. Vineyard owner Mark Björnson is from North Dakota and Pattie Björnson is from Minnesota. Together, the three embrace the grounded and “salt of the earth” attitude of the Midwest and translate that attitude and work ethic to their grape growing and winemaking. Anne has been working with the Björnson grapes for five years and made her wines at their winery for three vintages. The Björnson site produces age-worthy Pinots with nice structure and dark red fruit notes. 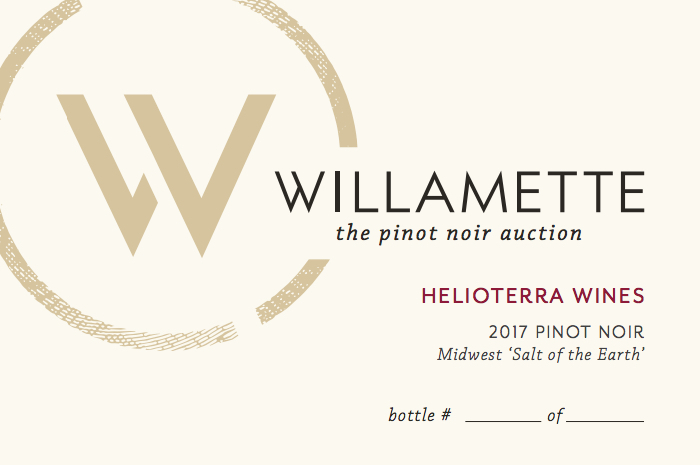 Helioterra Wines is a small, artisan producer of Northwest wines made at our own urban winery in Portland. Winemaker Anne Ebenreiter Hubatch partners with exceptional regional growers from ten vineyards in Oregon and two in Washington to craft wines that demonstrate the best that the Northwest offers. She focuses on low-input winemaking with acute attention to detail to create wines that are pretty, elegant and graceful in style. Helioterra produces aromatic whites, Pinot noirs and Rhône reds to offer twelve different wines for a total of approximately 2,500 cases.